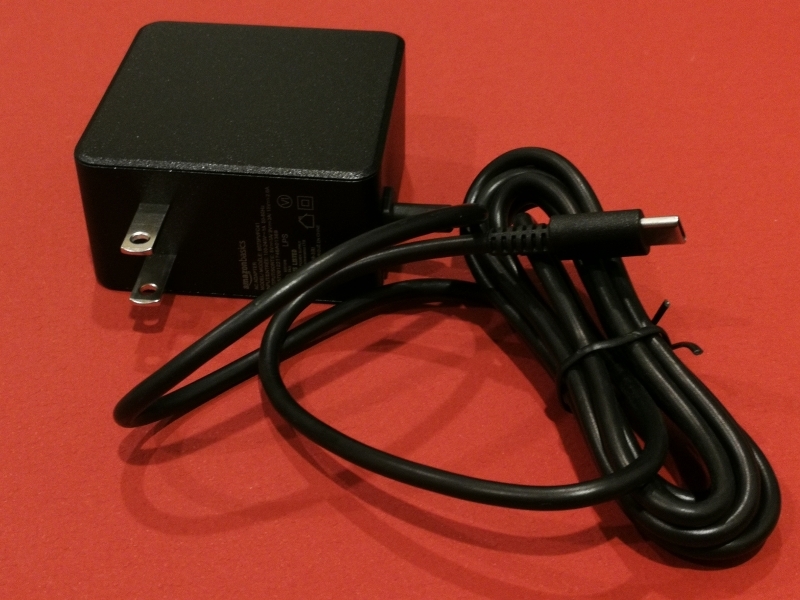 The Dual Voltage Switch AC Charger was sold by AmazonBasics as a third party USB Type-C AC adapter for the Nintendo Switch. The adapter supports USB Power Delivery based charging for either the Switch dock or console when connected to each respective USB Type-C charging port. 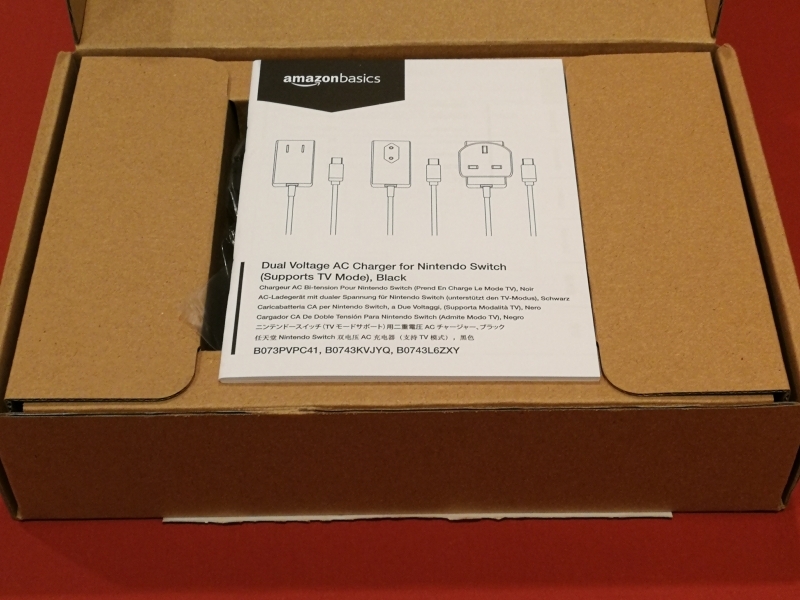 The AmazonBasics Dual Voltage Switch AC Charger came bundled with a handy user manual. 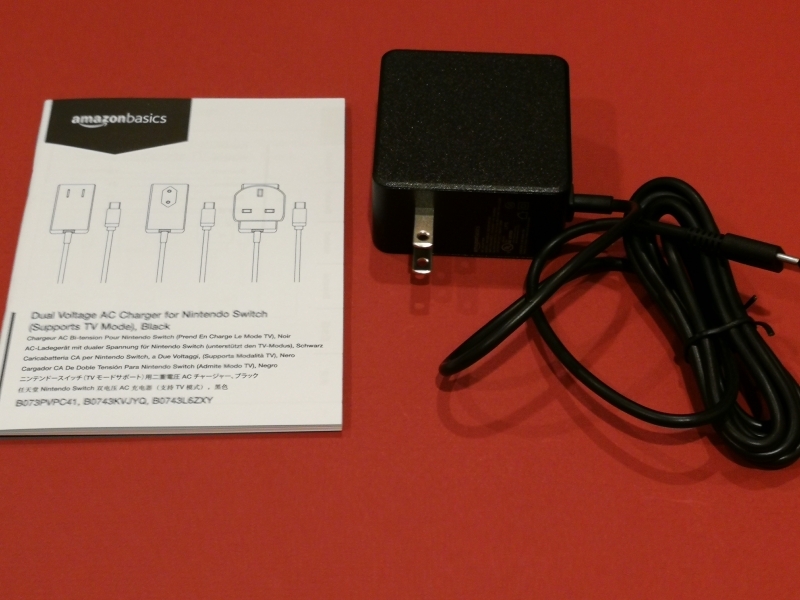 Similar to the Nintendo Switch AC Adapter and Insignia Switch Dock Kit's AC adapter, the AmazonBasics Dual Voltage Switch AC Charger also offers up to 39W charging when connected to the Switch dock's USB Type-C port for stationary gaming or the Switch console's USB Type-C port for mobile gaming. Here the charger claims to support 15 watts (5 volts @ 3 amps), 27 watts (9 volts @ 3 amps), and 39 watts (15 volts @ 2.6 amps) power profiles. 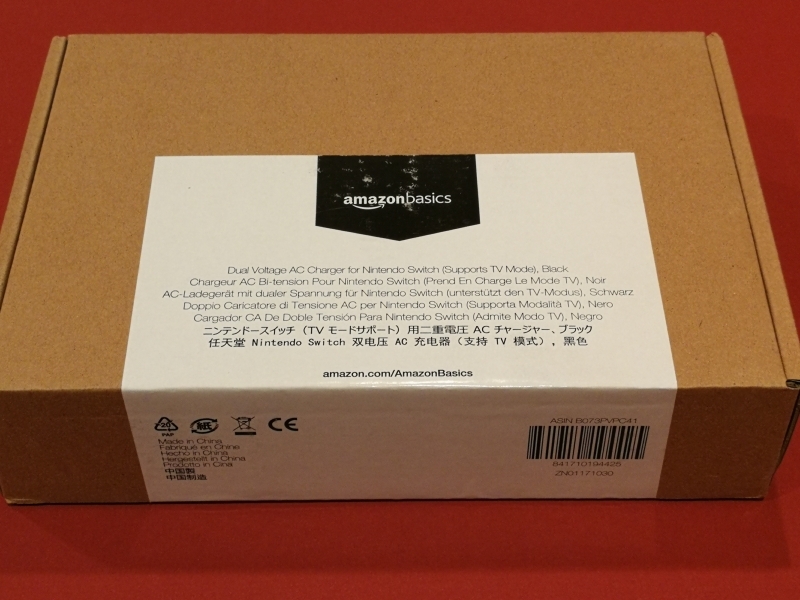 We used the USB Power Test App from Granite River Labs with the Granite River Labs USB Power Delivery Compliance C2 Tester to generate the following test results for the AmazonBasics Dual Voltage Switch AC Charger. The USB Power Test App first negotiates a power contract for every PDO supported by the AmazonBasics charger, and increases the load gradually to find the threshold where over current protection (OCP) kicks in and voltage and current start to drop for safety reasons. 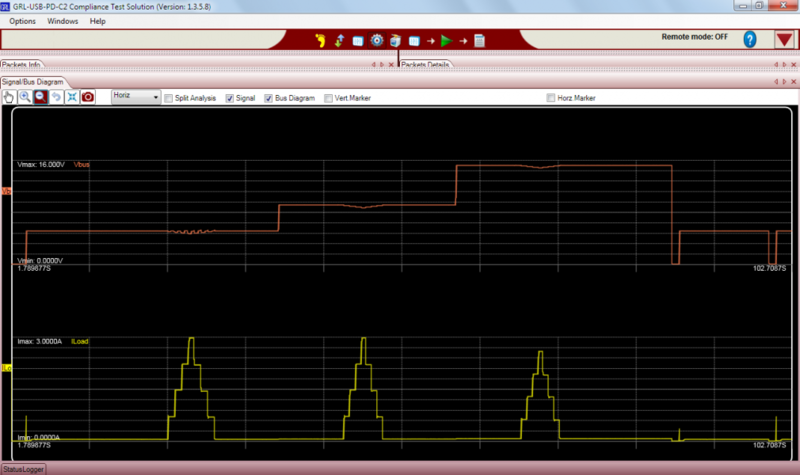 The USB Power Test App also reports out all the PDO's supported by the AmazonBasics charger and their OCP thresholds. 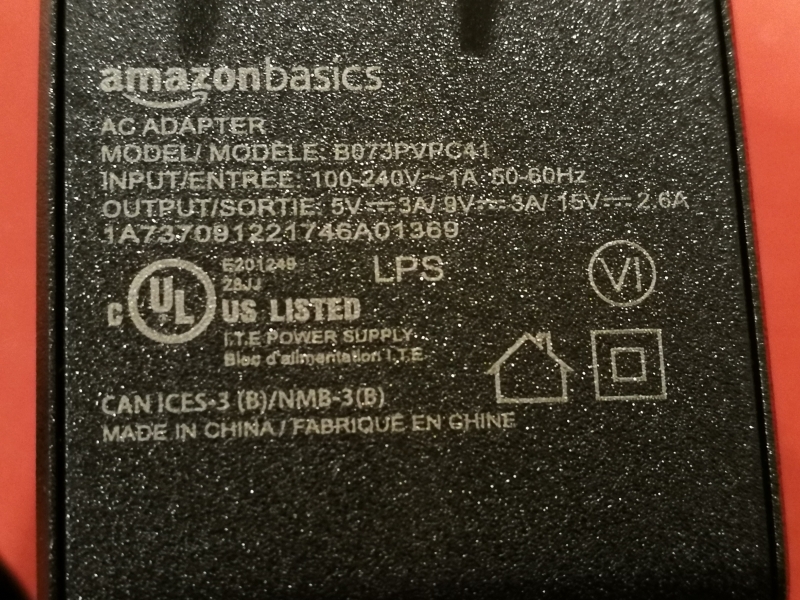 OCP thresholds for the AmazonBasics charger are set at about 24-34% above the maximum current levels for the fixed PDO's. Using the USB Power Delivery Compliance C2 Tester from Granite River Labs to run just a subset of the full USB Power Delivery compliance test suite, some compliance failures were observed for the AmazonBasics Dual Voltage Switch AC Charger. Using the GRL-USB-PD C2 Compliance Test Solution App to generate the below trace load, we can also see that the AmazonBasics Dual Voltage Switch AC Charger makes use of different voltage and current levels for charging.